﻿ Best Price on Hotel Vista del Cerro in La Fortuna + Reviews! Hotel Vista del Cerro is located 1.2 mi from La Fortuna Central Park and 25 minutes’ drive from Arenal Volcano National Park. It features an extensive garden with stunning volcano views and a swimming pool. 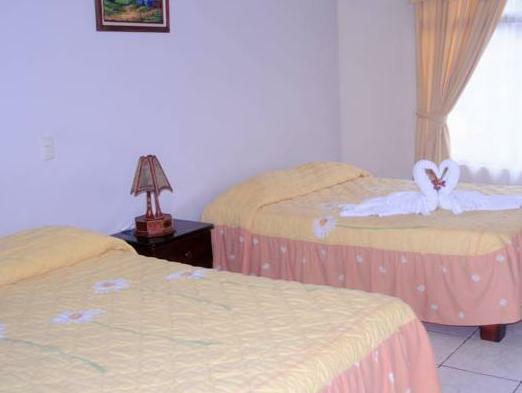 The rooms offer simple décor, air conditioning, a table with chairs, cable TV and Arenal Volcano views. The bathrooms are private and come with shower. Guests at Hotel Vista del Cerro can enjoy a complimentary breakfast at the restaurant. It also serves regional-style cuisine for breakfast, lunch and dinner. Spanish-style restaurants are located within 328 feet. Activities like sport fishing at the Arenal Lake, rafting at Sarapiqui River, biking tours and hiking on the Arenal Volcano can be arranged at this property. 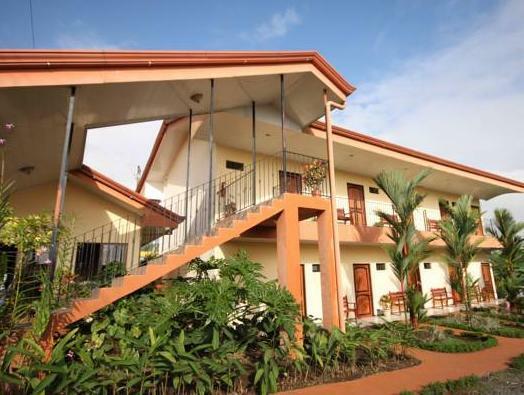 This hotel is 1.9 mi from La Fortuna Waterfalls and 1.2 mi from Baldi Hot Springs. Juan Santamaria International Airport is 1 hour and 30 minutes’ drive away. We had a really nice stay. Melania the owner and her staff/family were so friendly. They arranged mutiple tickets for things to do in the area. And she gave us a lift to the centre of la Fortuna. lokalisation close to waterfall and market. to noisly and lights in the room very poor. It was a very nice stay. Can walk to cerro chato lake from there. Good wifi. Die Frau am Schalter war super, sehr freundlich, sehr hilfsbereit und um jegliche Unterstützung und Auskunft bemüht! Blick auf degrArenal ist klasse! Leider ist die Strasse sehr laut, auch Nachts! Das Restaurant ist für einmaligen Gebrauch ok, doch die Bedienung ist sehr unfreundlich, lieber ein Restaurant weiter gehen, direkt nebenan, bestes Essen in ganz Fortuna, sehr lecker und günstig! Internet hat gut funktioniert, Pool gibt es.